Gorilla Glass sales surpassed the $1 billion mark last year. Since launching Gorilla Glass in 2007, over 1 billion devices have implemented the technology. Corning is working to bring new glass innovations to the consumer electronics market, including optimized touch and Radio Frequency (RF) capabilities; aesthetically pleasing shaped devices; and anti-reflectivity and antimicrobial properties. Corning Lotus Glass is designed to offer superior performance for higher-resolution LCDs as well as OLEDs. Corning’s newest advanced glass solution, the ultra-slim, flexible Corning Willow Glass, is positioned for next generation displays. Corning sees the potential for double-digit growth in 2013 in its Telecommunications Business Group. 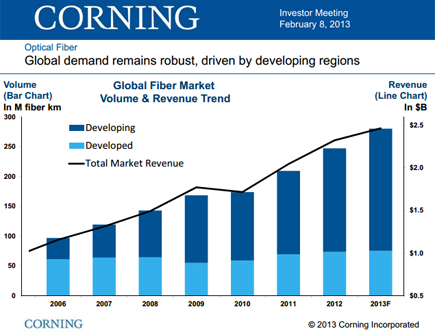 Corning believes the global optical fiber market will exceed 250 million fiber kilometers in 2013, with the bulk of this growth coming from developing markets. Corning opened a new fiber manufacturing facility in India last year. Corning continues to expand its Pretium EDGE solution for data centers. Corning has an installed base of over 1.8 billion kilometers of fiber. Corning is delivering optical solutions to every "edge" of the network -- Data centers, FTTH, Wireless and Consumer. Corning expects optical investments to ourpace telecom CAPEX by >2X. In data centers, Corning forecasts that there could be 10X the number of servers in use within the next decade. In 2013, Corning is launching an all-optical distributed antenna system (DAS). In Q1 2013, Corning will begin delivering USB 3.0 Optical and Thunderbolt Optical cables. Intel Capital has made a strategic investment in Big Switch Networks. The investment in Big Switch's Series B funding brings the total amount raised to date to over $45 million from investors including Goldman Sachs, Index Ventures, Khosla Ventures, Redpoint Ventures and others. "Data center operators need programmable and cost effective merchant silicon-based networking architectures to meet their data center economic and operational objectives,” said Bryan Wolf, Managing Director of Intel Capital. “At Intel Capital, we’re looking for companies creating the most disruptive data center solutions, and Big Switch Networks Open Software-Defined Networking product suite is a leading solution in data center network virtualization." Big Switch is based in Mountain View, California. 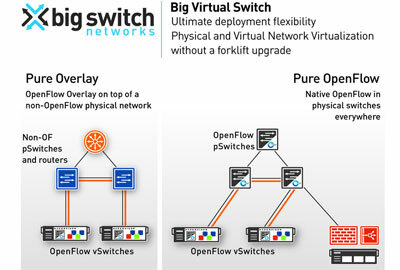 In November 2012, Big Switch announced the full commercial release of its Open Software-Defined Networking (SDN) product suite, encompassing a Big Network Controller (BNC), the Open SDN platform for network applications which scales to more than a thousand switches and 250,000 new host connections per second; Big Tap, a unified network monitoring application which provides cost-effective enterprise-wide network visibility; and Big Virtual Switch (BVS), a data center network virtualization application that makes the data center network as agile and dynamic as cloud compute resources, while also driving dramatic increases in compute utilization through automated network provisioning. Compared to other SDN approaches, Big Switch said its architecture is distinguished by its large ecosystem of physical and hypervisor switch, security, cloud orchestration and application partners. These include: A10 Networks, Arista Networks, Broadcom, Brocade, Canonical, Cariden Technologies, Citrix, Cloudscaling, Coraid, Dell, Endace, Extreme Networks, F5, Fortinet, Gigamon, Infoblox, Juniper Networks, Mellanox Technologies, Microsoft, Mirantis, Nebula, Palo Alto Networks, Piston Cloud Computing, Radware, StackOps, ThreatSTOP, and vArmour. 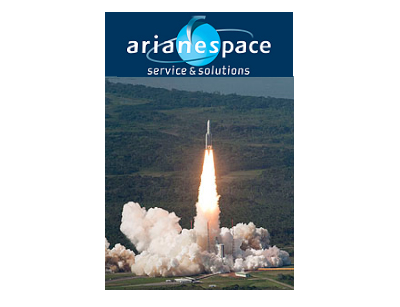 Eutelsat Communications awarded a contract to Arianespace covering up to four satellite launches in 2016 and 2017. The new contract is in addition to the contract signed in July 2012 between Eutelsat and Arianespace for the 2014 and 2015 timeframe, covering one launch and an option for a further launch. "This latest contract seals a 30-year relationship between Eutelsat and Arianespace during which over 60% of our satellites have been launched by an Ariane rocket. It paves the road for the future by giving us flexibility and schedule assurance to secure our deployment pla n for the five years to come . We are delight ed to pursue our longstanding collaboration and are confident that we can count on Arianespace's total commitment to performance and precision," Michel de Rosen, stated Eutelsat CEO.